I’ve been a bit hesitant to write what I actually eat these days. Why? you may ask. Because in my continuing research about nutrition, I have discovered that much I what I used to believed about the effect of eating fat was wrong! Some time ago I concluded that it is highly unlikely that fat consumption had anything to do with my previous diagnosis of osteoporosis. Furthermore, the consumption of fat does not seem to affect my pH level negatively the way that sugar does. 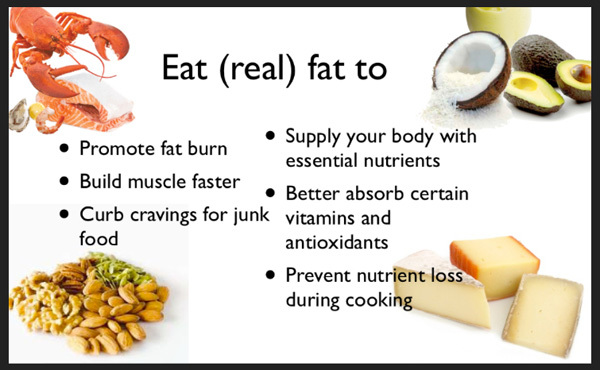 Nor does consuming healthy fat negatively affect weight gain for me the way sugar does. 12 oz. water + Supplements, including 1) Emerald Laboratories “CoEnzymated Adrenal Health” capsules; 2) Integrative Therapeutics “Similase GFCF” capsules; 3) Blended Fruit & Vegetable Powder capsules; 4) Garden of Life brand”Organic Plant Calcium” tablets; 5) Nature’s Plus brand “Egg Yolk Lecithin” capsules; 6) OilSmart brand “Omega-3.6.9 Formula” capsule; 7) Natural Max brand”Apple Cider Vinegar” capsule; 8) NOW brand “Glucosamine & Chondroitin with MSM” capsules; 9) BioIdentical hormones; 10) 2 drops of J. Crow’s brand “Lugol’s Solution 2%”; and KAL brand “Melatonin 5 mg. Lozenge (Natural Lemon Flavor)”. Does a “low-carb” recipe mean we must give up our 80-20, alkaline-acid balance? Nope! The trick is to include a variety of vegetables and healthy fats in the mix! Try this recipe for a delicious breakfast that promotes strong bones while pampering the pancreas. 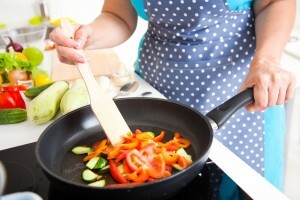 In a skillet, saute vegetables in oil until soft and slightly browned. While the vegetables cook, break eggs in a bowl, and whisk until blended. When vegetables are done, pour eggs into the skillet with the vegetables and stir with spatula until the eggs are fluffy and no liquid remains. Add a tablespoon of shredded cheddar cheese, stir, and serve. Delicious served with turkey bacon and sliced tomatoes! Note: Substitute coconut oil for olive oil for a more tropical flavor. Over the past few months, my husband and I been using a new app on our Android phones: MyNetDiary. 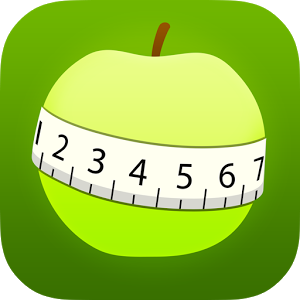 This app keeps track of calories, yes, but it does so much more! Important to me is the fact that MyNetDiary keeps track of my daily calcium intake, as well as my intake of carbohydrates, protein, and fats. It also figures out the effect of various exercises on my calorie usage and helps me keep my weight in check. It’s easy to use and…it was free! 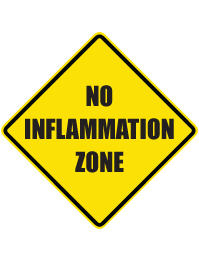 Here’s the link to a terrific article from Vivian Goldschmidt of SaveOurBones.com that lists her top 8 foods for lowering inflammation that can cause bone loss. I am happy to report that all of these foods, except red wine*, are staples in our OsteoDiet! Great article! *Alcohol and I do not get along, so I swore it off in my 20’s. This excerpt is taken from my journal. Could it be an entry in yours? “I’m getting over a cold. I slept probably about 10 hours last night. Now I am drinking green tea with key lime juice and a greens shake, trying to boost my pH and my body’s ability to function correctly. “I must get it through my head that I can’t eat the way my husband eats. I can’t drink coffee and creamer every day and expect my body to be happy about it.” Now, see, I type that, but I don’t quite believe it. I think to myself, “But, the caffeine helps my pulmonary vessels and blood vessels to start the day on a better note.” And there’s the rub: I haven’t really made a solid deduction about which is better. I still haven’t decided whether it’s good to drink coffee in the morning or not. And I still haven’t decided whether my body is okay with eating dairy, sweets, and breads along with my husband. “But, I’ll tell you what: I know that my body prefers green tea with lemon and a greens shake when it’s trying to get well. That ought to tell me something, if I were paying attention. And I know that my body functions at a higher metabolism when I go to the gym in the morning. And I know that sugar really isn’t good for me because it causes a rise in triglycerides and fat storage. 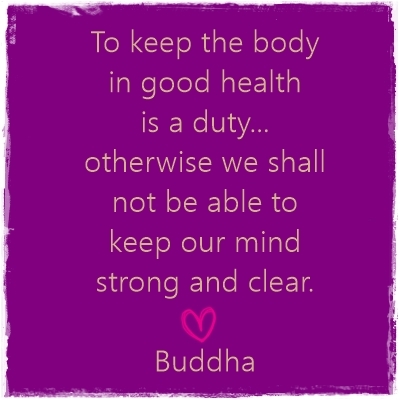 And finally, I know that my body is leaner when I eat exclusively fruits, vegetables, seeds, nuts, lean meat, high quality oils, and pure water. Here’s the link to Dr. Susan Brown’s latest article on speeding up the healing of bone fractures, using simple, natural methods: http://www.womenshealthnetwork.com/osteoporosisandbonehealth/speedbonefracturehealing.aspx?